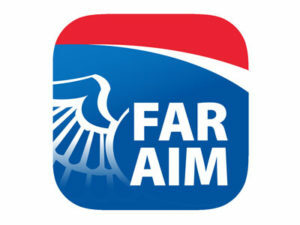 The Federal Aviation Regulations/Aeronautical Information Manual, also known as the FAR/AIM, is absolutely essential to be familiar with the regulations. A digital copy of the FARs is available on the FAA’s website, but your instructors and examiner may still want you to have a hard copy and to be familiar with it. 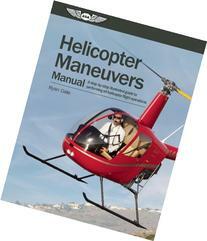 There are 2 books we ALWAYS suggest starting with… the Helicopter Flying Handbook and the specific aircraft’s Pilot Operating Handbook. A lot of the knowledge you’ll learn is contained in these 2 books. Hopefully, your instructor will give you a training outline or a syllabus of some sort. Also, be sure to ask how your instructor intends to track your progress and evaluate how you are learning. One of the more frustrating things for a student is not knowing where you stand during your training. 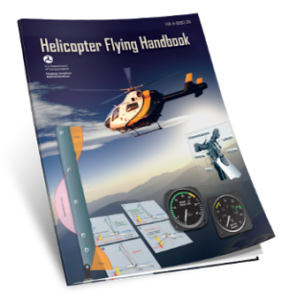 Many instructors use the Jeppesen Private Pilot Syllabus, but there are others out there (unfortunately not many for helicopters). 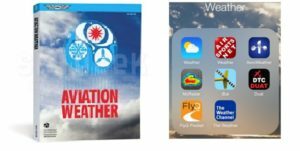 We suggest a weather book in order to learn the “codes” used in aviation weather, but these days, much of it can be translated via a multitude of apps found on your phone or tablet. You’ll want to know this information especially when you start flying cross country flights. 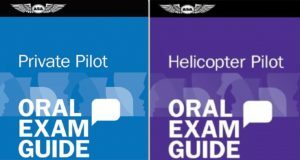 The oral exam guide will help prepare you for the Oral Exam for your checkride with an examiner at the end of your course. 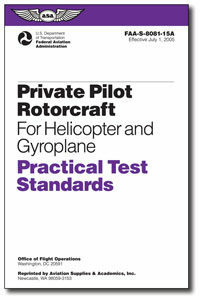 We suggest both the Private Pilot and the Helicopter Pilot exam guides since just the Private answers a lot of airplane questions. 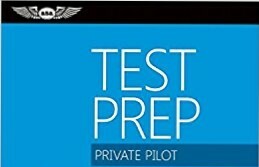 These books include many questions and answers commonly asked on the oral exam portion of the check ride, although just remembering the answers doesn’t guarantee a passed oral exam. The Practical Test Standards (PTS) outlines exactly what you’re responsible for knowing and within what standards. It lists exactly what you’ll be evaluated on during the oral and practical exams and serves as a good guideline for studying. It guides you through the responsibilities of both you and your examiner for a successful check ride, and without this book, you wouldn’t know exactly what is required of you on the final check ride.